“I’m pretty proud of myself right now.” Yeah, well, Jay, you’re the only one, although getting Michaela one week before the merge was pretty darn good timing on your part. Dammit. Merge time! Time to find out what alliances actually even exist anymore, after all the crazy vote shifting in the past few weeks. The “nerd voting block” of Zeke, Hannah, and Adam immediately focus on all of Jay’s power and charm. 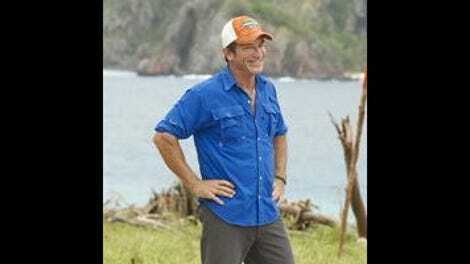 Adam wins an advantage that allows him to steal someone’s reward. This is the worst advantage ever. All it does is allow you to make someone angry. Adam goes to Taylor, talking about how Jay has too much power and they should vote out his ally Will. He also tells Taylor about his advantage. Adam, I want to like you but what are you doing? Taylor is not your friend. Taylor is Jay’s friend. Chris wants to band together to get out a Millennial, specifically Taylor because he stole food in the middle of the night. That middle-of-the-night talk between Taylor and Adam ended up having a lot of plot threads. The editing during the Immunity Challenge does a good job of setting up the inevitable Adam vs. Taylor vote at Tribal Council, as Will wins immunity and holds off any chance of Adam’s plan to vote him out taking hold. The issue with the vote out Taylor side? They can’t decide if they actually want to vote out Taylor or someone easier to vote out, like Michelle. It doesn’t help that Adam is in pure scramble mode and causing the people who are on his side to start doubting him. The big question going into Tribal is if Adam will use his idol to save himself, and if he does will it be needed or a wasted play. He doesn’t play it, but it’s a smart no play on his part—Michelle gets voted out easily. Listen, this season has actually been fairly entertaining but the voting is consistently ridiculous. Every week it seems like there’s a male target at the beginning of the episode that magically turns into a female target by the time the vote happens. This week, Taylor was clearly who everyone wanted to go home at first but that magically got converted to Michelle over fears that Jay might share his idol with Taylor. Sure. Sure, that would happen. Shut up, Survivor players. Listen, number two: Adam made a terrible move this week trusting Taylor, who would walk over his corpse for free gum (or dried bananas). Why did Adam think their relationship was so strong so soon after he voted out Taylor’s girlfriend? Adam says he was playing to hard but in reality he just wasn’t playing smart, and it’s going to come back to haunt him. Repeatedly.